Making sure all is as it should be when it comes to UX design can help ensure your website stands out from the competition. That’s why we have a vigilant testing process to help ensure the aims and desires of our clients are met to tee. In many cases, good user experience design is often invisible. It will look good, of course, but it will simply work well. Users reach their goal in as few steps as possible and will be unaware of the help you have given them along the way. But this end goal isn’t possible without thorough testing to ensure the website meets user needs, offers excellent navigation and gives visitors the kind of experience they desire. Not every buyer that visits an ecommerce website is ready to make a purchase. However, you can help them on their way with plenty of helpful pre-sale conversion points for each stage of their journey. To help increase your conversion rates, improve your search rankings and enhance your users’ experience, we can undertake a comprehensive audit of your website and highlight areas that can be improved. Our experienced marketers can research your industry, your competitors and any notable business trends. They will create a clear marketing strategy based on your goals so that your business targets are achieved cost-effectively. Personas are descriptions of typical visitors to your website. They help to define the way people will use the site and how it will need to be structured to meet their needs. We can test a site from the perspective of each persona and identify hurdles and difficulties. 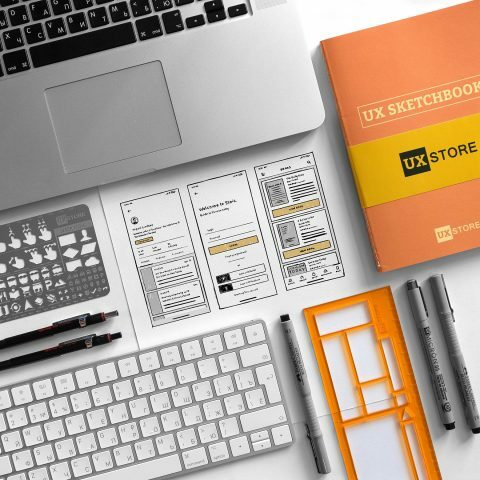 What’s the secret to strong UX design? Finding the right combination of effectiveness and simplicity. It's all about helping users reach their goal in as few steps as possible. The user experience is all about how they feel when they visit your website, as well as what they do while on it. If they feel positive, they are more likely to make enquiries and purchases. What kind of thing does UX design testing look at? UX design testing looks to identify any hiccups or headaches that a user may encounter when using a website. The fewer there are, the better the user experience. Conversion rate is the percentage of visitors to an ecommerce website who make the leap from visitor to customer. There are many factors that effect this, and removing barriers to conversion is a key part of strong UX design.